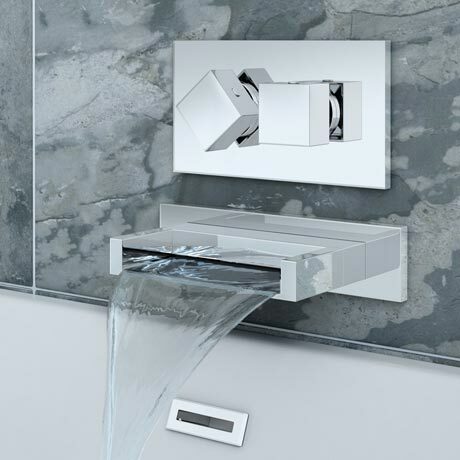 The Turin luxury wall mounted fixed shower/bath waterfall filler with concealed thermostatic shower valve - Create a stunning design statement in your new bathroom. The concealed thermostatic valve offers thermostatic bath filling/showering via two easy-to-operate controls for temperature and flow. Suitable for all types of plumbing installation.